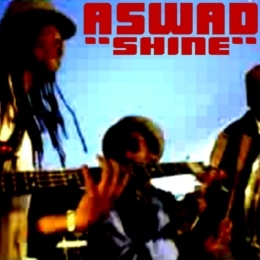 WWW, October 2007 - In this professionally recorded live performance, we'll see Majesty in the Palace as a full-blown Aswad plays the bad vibes away with some crucial niceness. Four horn blowers, an extended drum kit, two guitars, a complete keyboard corner: indeed, this is a full blown band. It's all there and the band plays smooth as smooth can be. At 3 minutes 30, the track begins to take a different direction. Pretending to have played the complete tune, the band stops and starts again... in a Dubwise style! The quality of the video itself is superb, recorded and directed by a professional crew. Especially when you take into consideration, that this review is written almost one quarter of a century after the actual recording. 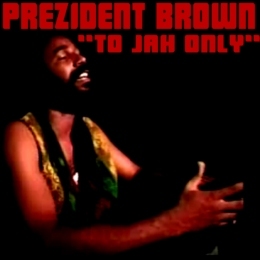 WWW, October 2007 - Prezident Brown was one of the conscious vocalists to follow in the footsteps of Tony Rebel back in the early 1990's. They came to bring back consciousness in the Dance. Spearheaded by the House of the Bobo Shanti and others like Tony Rebel and Luciano, the early 1990's marked a period some Reggae historians call the Rasta Renaissance. Prezident Brown was one of the prophets to bring the message once again, and in this video clip we will see him as he spreads some truths and rights and worship of Creator. The music is based on the Nyabinghy rhythm, technically some wouldn't call it Reggae even. Acoustic Guitars are there too, while Prezident Brown shares his testimony and observations. WWW, October 2007 - This great documentary on the 1979 edition of the "Mother of all (Jamaican) Reggae Festivals" contains much more than "just" the live performances of Bob Marley, Bunny Wailer and Burning Spear. Jamaica, 1979. It might be a while back in time, but back then Reggae Music already had a history of over a decade. And in that decade, a lot of things happened. From the Ska days with Studio One straight to the Sound Systems and the Dub Studio's. From the hills of Jamaica and the ghetto of Kingston straight to the world stage. Spearheaded by heavyweights such as Burning Spear and Bob Marley, Reggae Music drew the attention of the world as many Rastafarian Reggae artists shared their message on the now all too familiar drum and basslines. In a way, Jamaica became the center of the world as all eyes focused on that island just under the smoke of Fidel Castro's Cigar Republic. A symbol of emancipation from mental slavery, a source of inspiration for the downtrodden of the earth. It is in this time and place, that the video capture the live performances of some of Reggae's greatest stars. 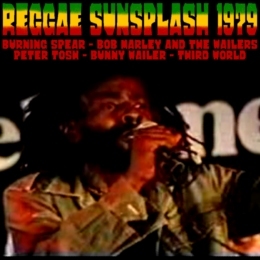 Burning Spear, Bob Marley, Bunny Wailer, Third World, Peter Tosh: they're all there. We see several tracks, recorded by a professional crew. The video also takes us to various places on the island itself. We see the ghetto's, we see the hills and speak to Rastas who give us a different perspective on music than what is usually assumed. A must-see documentary that will definitely increase the knowledge of it's viewers, if not revitalize the memory of the oldies among us. WWW, October 2007 - When LKJ started to chant his in-depth poems over heavy drum and basslines, the genre of DUB POETRY was born. Strong, conscious words form the bulk of Linton Kwesi Johnson's oeuvre. His poetry will go straight to the heart of the matter, whatever angle of downpression and other forms of (social) injustice the mighty DUB Poet will cover. In this poem, he calls Inglan for what she is. 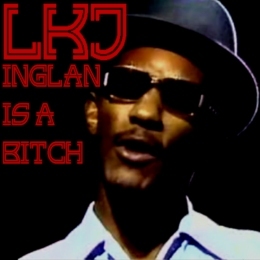 Without the backing of the deep, deep DUB sounds by Dennis Bovell that most people associate with LKJ's voice, he recites the poem that Babylon really doesn't want to hear. 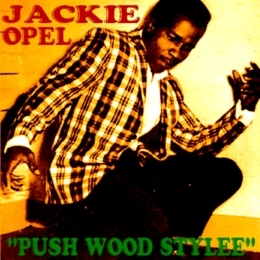 WWW, October 2007 - Originally hailing from Trinidad, Jackie Opel is best known for being one of the top singers during of Jamaican Ska in the 1960's. A tribute. Listening to the historic recordings of Jackie Opel's voice as he rides over the Ska riddims will once again remind the listener just how special Jamaican Music is. Singers and Players of Instruments, each one carrying more skills and talents than your average world star together. The injustice that comes with the world economical situation becomes painfully clear, when we realize how this music is recorded on material that even for the time wasn't the best of best. That stuff was reserved for the rich countries, and only now with digital possibilities there is somewhat of a more equal situation as computers can more or less replace a complete studio. Almost 30 minutes of sweet, soulful, energetic music, with Jackie Opel singing lover's tunes as well as spirituals. For (y)our listening pleasure and meditation! WWW, October 2007 - Centered around Dennis Bovell who would also become known for his production works for Linton Kwesi Johnson, Matumbi was one of the hardest Roots Reggae bands to arise in the UK during the 1970's. 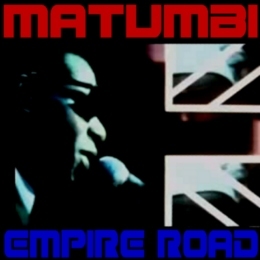 In this video, we will meet Matumbi as they perform for a UK audience back in 1978. While the people dance, the singers sing conscious lyrics over the vibrant music. The video is obviously very dated, and this has an extra dimension. Some people will recognize the times, as they grow older, while a young generation will love the music and see people dancing to it in a time before they were born. Whatever the case, be sure to enjoy this classic performance by a classic UK Reggae band. WWW, October 2007 - After doing a little free style toasting sound check in the 1970's, the check became a tune, yes even one of Mikey Dread's classics! 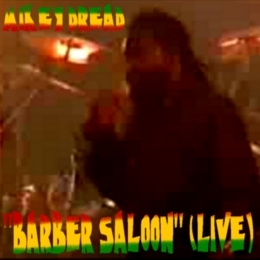 This video records Mikey Dread as he performs with the Matic Horns. Before the music starts, though, the "Dread at the Controls" has a declaration to make. Don't worry about the security guards, feel free to light up when you can! The crowd cheers, and the drums give a roll to signal the start of the music. The vibrant band plays an up-tempo version of Mikey's classic "Barber Saloon". The horn section does a wonderful job, Mikey Dread chants to the (French) audience, the vibe is right! Originally, the tune came into existence after Mikey Dread doing a Sound Check at King Tubby's. But the music and words turned out to form a perfect combination and so the tune became a classic. From time to time Lush Records gives us an excursion in the world of DUB under the name "a.k.a. DUB". Part one, released in October 1997 was received very well as I believe. I have found it in various collections. This new addition can give you a good insight in what's happening at the moment in the DUB-scene. In the three decades that DUB exists now, it has surely grown from a mixing technique for spicing up the B-sides of reggae singles to a whole style in itself and AKA dub is a document to prove it. A style of music even, as DUB doesn't necessarily have to be connected with reggae anymore. I say this, because not every track on a.k.a. DUB 2 can be considered reggae. That's too bad, but there's also a lot of cool material left on this album. A suprising track from a German band called the Vision for example. Or some tracks from the Zion Train Skool that are pretty good as well. And it's nice also to see a track from Netherlands based Twilight Circus with his sound similar to Phase Selector Sound. Another very nice one is the Hydrophonics track "Fighting", based on a Johnny Osbourne sample. The final track, Vibronics' "Jahlight Jahlove" is also beautiful!. The female vocals on a dreamy, almost trippy mix sounds in my head long after the song is finished. Some tracks however, do not really appeal to me although they can appeal to people that usually listen to house or techno. I already said not all tracks on this CD are to be considered reggae. I think that is a minor point. So I don't understand why Brooklyn based "Roots Control" names his track "Forward Roots" as to me this leans more on electronic music than on roots music. But it is part of the evolution of Dub: from the roots there are many branches. Another branch I do not find really appealing is the "Shaka meets Mad Professor inna Techno Style" (Deliverance Dub, Hughie Izachaar) That's why I don't give it two stars. This album is a documentary of the versatility of Jah Roots keyboard player Sure Dread. He has established himself as Internet artist with a growing audience who can appreciate what he is doing. Sure Dread started to play reggae music when he joined Jah Roots (then Messiah Calling) at age 14. In the years that he played with this band he has developed his own style of playing. Inspiration by great artists like the (Wailing) Wailers and Steel Pulse combined with the epertize of years of playing himself. Often he had to play the part of 4 or 5 people simultanously in Jah Roots. He didn't have that in the process of creating the music you can hear on this CD. Using modern technology he was able to digitally produce his musical play. The majority of tracks on this album are dubs, an area which he recently started to explore. Instrumental tracks like Redemption or Praises are also included, as well as some vocals. With Redemption you'll have a collection of proves that computer music does not have to be "liveless" music. During the late 1970's, early 1980's, reggae music began to change. Roots Reggae gave birth to Rub a Dub. It was also called Dancehall, but that is not to be confused what people call Dancehall in the 1990's. I guess you can also call it The Sound Of Channel One, as UK based label Motion Records dubbed this historical collection of 13 tracks with versions and one bonus dub on 2 CD's. Historical, and not only because the tracks give a perfect indication of what was going on back then. Previously this music was really hard or impossible to get and that makes it a must for Reggae and Dub fans that are looking for authentic material. Tubby Connection contains session-drummer Desmond Irie's only vocal recording, and it introduces lesser known singers and chanters such as DJ Prince Pompidou, Horace Andy sound-a-like Bandoo and Rootsman Calvin Stuart to the growing audience of Reggae and Dub Music. Most of the tracks are backed by the Gladiators, who are mostly known for their vocal work. Apart from the last Bonus Track, all recordings took place in the legendary Channel One Studios, Kingston Jamaica. Channel One deserves maximum respect, equally to Studio One and for Dubbernauts arguably even more interesting. Dub has had nuff space to evolve in this studio. All tracks come with their Dub Version, mixed by the Discoverer of DUB, the great King Tubby. A Channel One Showcase! You will find a wide range of styles between Roots and Rub a Dub on this album, and a different style requires a different kind of dub mixing as well. Tubby proves to be versatile; he suprises me a lot of times. It's like I hear Scientist, Peter Chemist and Bunny Lee together with King Tubby, a definite proof Tubby is the Originator. Everytime I hear the vocal, I can't wait to hear Tubby's interpretation of it! That some tracks are mixed pauseless together with their dub version increases the exitement: a vocal turns dub! In reggae, a track is defined by it's riddim. Many riddims that you hear in modern reggae, are in fact remakes of older tracks. The majority of these tracks originated in the first reggae studio, Studio One. It was in this studio, that most famous and essential reggae artists have recorded first. When you see the word Showcase on a reggae album, this means that it consists of extended versions. First you hear the vocal track, followed by a dub version. This album contains 10 of these extended versions from the vaults of Studio One. The recordings are certainly not in the digital high quality that we are used to in this time, but that is an essential part if you want to catch the atmosphere of ancient Jamaican music. Showcase Volume One contains some of the sweetest music you've ever heard. Many natural talents (Heptones, Anton Ellis, Cornell Campbell) in their early days are feautured on this collection. It's a nice experience to hear the younger voices as well as the excelent quality of the musicians. Hopeton Brown was born in Kingston, Jamaica, in the year 1960. But he is better known under the name Scientist. Is there a dubhead that does not know his works at Channel One studios? His serial on the Greensleeves Label has reached legendary status! That Scientist is a real natural talent is proven when you hear his earlier works. Thank you Blood and Fire, for providing the evidence! When he was only 17 years old, he cut some pretty crucial dubs for producer Don Mais and his Roots Tradition label. 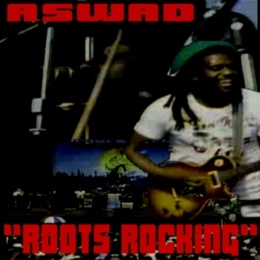 These tunes were never released on an album before but you could more or less see Roots Tradition as his debute. Scientist definitely goes further there where King Tubby stops. It is incredible when you realize all the dub mixing work on this album is done by hand. No automatic computerized consoles, stricktly Dub Handyworks. And added to that, you should remember, that Scientist was only a teenager when he mixed these killer DUBS. As always with Blood and Fire, this album comes with beautiful cover art and a lot of information which will surely help you to enjoy the music to the fulness. Coming from the Dubroom Archives, and not available for a long time. That is what one can say about the early tracks that Messian Dread has created and released on the Internet. Due to lack of space, the files had to be moved offline. On this CD you can find a mix of early tracks and some songs that were created after Messian Dread 1 was released. Apart from Jamaica, the UK has also been a place from which very heavy dub has been created. Names like the Mad Professor, Dennis Bovell and Jah Shaka are the big names from there. And now, in this last year of the 20th century, we have a strong movement called the UK Roots. Heavy Roots Reggae Dub Riddims, created with the help of digital instruments and technology. One of the best known names in this movement is Alpha and Omega. But they are certainly not the only one. London Based JAH WARRIOR has opened his vaults for Swedish label Lush Records and delivered unto them 12 previously unreleased dub tracks. This collection gives an impression of the last three years in the works of Jah Warrior. A work which should not be underestimated. His dubs are often very wild and intense, there is heavy effects, varying from a real "Tubby feel" to the 80's style of the Mad Professor and Jah Shaka. But in no way is the Warrior an imitator, he continues where his forerunners stopped. He makes heavy use of synthesizers and (drum)computers, but not only. Did I hear a bassguitar on some tracks? Speaking of bass, one of the few minor points on this CD is the choice of the bass sound. Not every bass instrument that Jah Warrior uses I like. There is one particular synthbass sound on some of the tracks (unity dub, african gold) that I do not like. It doesn't have a nice attack. The Warrior really knows how to give drums a dub treat. I think this belongs to his strongest points. He is very creative in combining Effects (EQ, Reverb, Delay, Phaser) and using them to the max. Some of the tracks on the CD are really chill-out stylee, other are militant UK steppers, or in between. But each and every one of his tracks contain that wild intensive use of effect devices. If you like the modern sounds of Alpha and Omega, and the Mad Professor, you will also like Jah Warrior. It was King Tubby, the originator of Dub Music who mixed 12 tracks of Yabby You's music and released it as King Tubby's Prophesy of Dub. There were only a few 100 copies pressed, originally! It was Blood and Fire, who re-released this gem along with two additional bonus tracks. As always, the CD comes with extensive information written by Steve Barrow. The booklet, that comes along with this CD contains beautifull artwork and photography. In it you can read that Yabby You knows that we are living in the end of times, that we are witnessing around us what is prophesied in scripture. Hence prophesy of Dub. True apocalyptic music. Although you can not hear Yabby's voice on this album, his vibe remains in the music. Some of his most crucial tracks (antichrist, run come rally) are presented here, in a stricktly dubwize style. It was new wave singer Patti Smith that "discovered" Tappa Zukie for the western world and used him as support act for her own Patti Smith Group. This is the main reason, Tappa is so popular in punk and new wave circles of the 70's and 80's. Still his music was not really available for the big public. From the Archives is not a release of an older album, but rather a "best-of Tappa Zukie". Killer tracks like MPLA, one of my all time favorite riddims, Peace & Love and Tappa Roots are my favorite selections of this album. The three tracks I've mentioned are all school examples of Rockers from the 1970's. Interesting to read in the information that comes along with the CD, is that Tappa states part of the reason why he stopped his career as a toaster (reggae rapper) was that he was becoming too "slack", as it is called in Jamaica. Slackness, or pornographic style lyrics, is very popular especially in the toasting scene. You can unfortunately also hear some slack tracks on this album, of which Tappa now says he was doing it too much. Fortunately he has made some real classic conscious tracks as well, some of which I have already mentioned. These are the tracks you really need to hear, because the riddims are so very hard! It is a shame that some slackness is on the CD, but it gives an impression of the double-ness in so many deejays and singers: they combine conscious lyrics with slack lyrics as if they are not ashamed over it. The Mad Professor is one of the best known Dub Mixers from the United Kingdom. On his own Ariwa Label he has released numerous weird dub mixes. He has mixed for Massive Attack, and numerous UK based reggae artists. Using digital equipment, his sound differs from that of the older Jamaican Roots Dub as we know it from King Tubby and more. Mad Professor can be considered as the link between Jamaican dub producers and the newer generation UK Dubcreators (Alpha and Omega, Jah Warrior, Mixman etc). On Black Liberation Dub, he uses an interesting mix of old and new skool Dub techniques. You hear the phaser as well as the newer sound effects as we can find them in samplers and so on. From this technical point of view, I think this album is interesting to study. If you like a combination of the old and the new, this album is for you also. It has computer drums, but also real musicians as well. 12 Very psychedelic tracks mixed in such a way, only the Mad Professor can do this. Blood and Fire has been re-issuing old essential reggae music on CD for quite some time now. They did good releasing this album as well. Actually, this CD is a combination of two albums, the vocals and the dubs for Horace Andy's In the Light. Both albums are equally essential. Horace's beautifull voice is known from his works with the Trip Hop group Massive Attack. On this CD you can hear where he is coming from: Horace Andy singing over classical roots reggae. Especially because every song gets accompanied by it's dub version, I think you will enjoy each and every one of these tracks. Real gems are "Government Land", "Leave Rasta" and "Rome". As much as this album is Horace Andy, it is Prince Jammy as well. The dubs from In The Light are mixed by the Great Prince (now: King) Jammy, King Tubby's protegee. You can hear Tubby's pupil just before he started to have his own label. Killer dubs that certainly belongs in every dub-collector who takes him or herself serious. Jammy remixes the vocals of In the Light in such a manner, that they are absolutely different than the vocals. You can play these versions apart from the vocals, and they will stay interesting, also if you're not such a big dubhead like me. Needless to say, as it is with every Blood and Fire release, this CD comes with very nice artwork and a lot of information written by Steve Barrow, who can be considered a living reggae encyclopedia. Both Heartbeat Records as well as French Label Tabou.1 have provided the world with a nice collection of dubs from the Abyssinians. Classic reggae from this essential vocal trio in a Dubwize style, that's something the people were longing for in the time the originals were released! Satta Dub contains 4 versions of the Satta Riddim: 3 instrumentals and one dub. Apart from these four tracks, 11 other crucial dub shots of which I enjoy each and everyone. Meditation Dub is my favorite, never before had I heard that the bassline of this song (My Meditation) is so wonderful! They are not the most spaciest dubs from that era, but this music is so essential in the history of reggae that it would be a disgrace if there would not have been dubs available by now. The riddims are beautifull, the Abyssinians themselves sound much more powerful in dub. Satta Dub is certainly a high quality product because it gives a much better impression of the original sound then the other, US based Heartbeat release. A lot of effort is put in trying to maintain that original sound as much as possible. As a result of this approach, most of the imperfections that were present in the studios on Jamaica in the 1970's can still be heard. But especially because Dub is (primarily) Studio Music, this pre-digital sound is important for the enjoyment of the music. Taking away what we conceive as imperfections will also remove the atmosphere of the recording in such a great manner that for a lot of people it is unacceptable. So Big Up for TABOU1. Satta Massagana has been a Rasta anthem for a long time, the riddim (bassline) has been played by many artists. A lot of groups have their own version of the song. Here you have the Abyssinians, another Vocal Trio from Jamaica. Originators of at least two of these classic Rasta anthems: Declaration of Rights and Satta. Both tracks you can find on this CD, which is a remixed collection of 14 titles from 8 original master tapes. That is not an undivided good thing, because the original mix differs from the mixes on this compilation. Still, because the Abyssinians are considered well essential and crucial this CD is a must, especially when you do not have the vinyl version. There is a heavy spiritual vibe in the vocals of the Abyssinians. Their harmony is perfect and considered one of the most inspiritational trios! They certainly spread a gospel vibe because in the time of this recording they were attending the Ethiopian Orthodox Church. The music is heavy 1970's Roots Reggae, played by Reggae's top musicians. Lot of easy skanking one drops, horn themes on this one. The Itals can be considered one of the most underestimated Vocal Trios of Reggae Music. Their music is energetic. Yes I, the Itals are Vitals! And although they sound fresh and new on this album, the truth is that founder Keith Porter is doing his works from the beginnings of the 1960's. This album is first released in 1981, and it is an interesting mix between Roots Rockers and Rub a Dub. The title track is very catchy. Sometimes they sound a bit like the Wailing Souls, another Jamaican Vocal Trio, but vitality is definitely defining their works, so that you can not say one or the other is imitating one another. Most of the works on this CD are conscious, that means that they deal with spiritual or social subjects. According to the liner notes, the Itals are brethren that do not like to live in the big city (Like I Messian Dread) but they are doing their works there and then get back. This you can really hear. The music is fresh, it makes you dance. Sometimes there is really a "live" feel on this (studio) Album. And the top of Jamaican Roots and Rub a Dub musicians join their forces again for this album: names like Sly and Robbie, Flabba (Holt), Style (Scott), the fine horn section of (among others) Tommy Mc Cook, "Deadly" Headly, and Bobby Ellis. When you want to listen to some vital reggae music, you might consider the Itals, Brutal Out Deh. This is the first official full length CD coming from the Dubroom region. And as the title shows, it's also Messian Dread's debut album. The CD has been received pretty well and has gotten some nice reviews. In 2002, the album has been updated. A little later the music industry pulled the plug, together with the works of other 250,000 online artists It is currently only available in mp3 format. The opening track, Voice in the wilderness, is one of Messian Dread's hardest riddims and prophecy tunes. In the Book of Books, John the Baptist is called "The Voice of one crying in the wilderness", crying to announce the coming of the Lord. Roots On My Head is an ultra long dub mix (7 min.) based upon a militant steppers riddim and a hypnotic bassline. It's a track especially written for those dreadlocks who experience the pressure that Babylon can put on. Third track on the album is a 12" track. First, you'll hear the track with full lyrics and instrumentation, then it goes over into Dub. All in one mix. Again, the steppers take control of the rhythm, carrying a strong message to false preachers and teachers to Leave Natty Dread Alone. After a storm, there must be a calm. In this calm you can hear a Messian Dread gospel-reggae track, again in the 12" style. Eye Witness has a true "band feel". In the recording, you'll hear an occasional scratch. Reggae Disco Dub you can find on the rejoicing Earth Rightful Ruler, a track which has been remixed in 2001. Chill out on the meditative dub tunes of Judgment Dub, while you listen to one of the hardest prophecies on this album. Run for the coming wrath, into the arms of The Shepherd. The third and last 12" of this album was originally created by King David, one of the forefathers of Rastafari. A Conscious Dub is a favorite dub tune on MP3.com. A Dub in the Scientist Tradition. The only track without vocals on Messian Dread 1 is Ethiopian Dub, based upon that particular Reggae Drum Rhythm, the One Drop. Stepping Out Of Babylon is a right representation of the determination of the Conscious Dread, to leave out of Babylon, on to Mt Zion. Ten of Messian's early Internet releases, which made him quite popular. Years after the tracks were released, they are still appreciloved by many listeners. Every now and then, one of the titles from Messian Dread 1 entered and climbed in the various Dub/Reggae charts on MP3.com. Many of the tracks are rather long, but all together the album contains close to one hour of music. Alpha and Omega can be considered among the leading figures of the now generation of Dub creators. King Tubby, unfortunatly he left us, has discovered dub, and passed it on to his protegee, Prince (now King) Jammy. Scientist and Mad Professor made the vibe gone even more mad, and now we have Jah Warrior, Rootsman, The Revolutionairy Dub Warriors, Messian Dread and Alpha And Omega. This duo, consisting of a female bass player and a male drummer do everything themselves. Playing, mixing. Although they have released several albums, this is their first international release with a 15 track selection of their earlier work and some previously unreleased. The nice thing is that all the tracks are re-mixed especially for this compilation. This album is a good representation of the early work of Alpha and Omega. It will give you a chance to dig their sound to the fulness. Because there is a typical Alpha and Omega sound for sure. The sistren lays some down some heavy monotonic and hypnotic basslines, where the brethren puts down some heavy steppers and two drop rhythms. Think over this a melodica and spaced out echo's and you have pretty much the sound of Alpha and Omega.